For centuries, private collections were the principal means of viewing rare or unusual objects that came from distant lands. 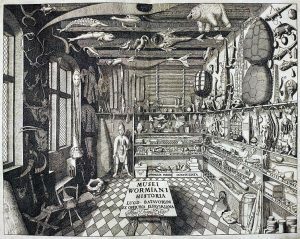 Known as "Cabinets of Curiosities" or Wunderkammer, Kunstkabinett, and "Cabinets of Wonder", they displayed objects and oddities ranging from scientific specimens to important works of art. Even the words "Cabinet of Curiosity evoke images of dark rooms filled with the strange and bizarre. 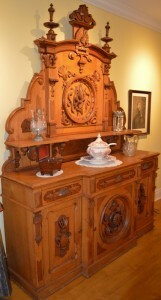 Where did these cabinets originate from, and how did they turn into the modern museums that we visit today? As you explore this exhibit, be sure to look through the glass at some of the unusual and wonderful objects found in our collection and the stories behind them. 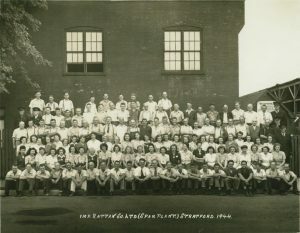 Stratford-Perth Archives, The Beacon Herald collection. July 2002. Steps to Stardom, tells the story of Justin Bieber's meteoric rise from busking on the steps of the Avon Theatre to becoming one of the most popular pop stars in the world. 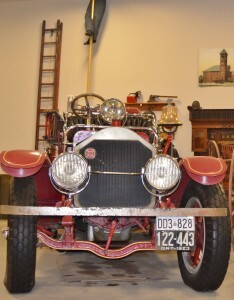 The Museum has been given access to hundreds of items - awards, clothing, pictures, all-access pages, personal letters and even running shoes and we are now in the process of collecting the items for exhibit. 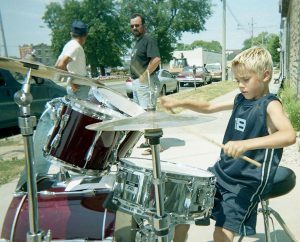 In addition, a number of things have come forward from Stratford residents that have also been offered to the Museum -- team pictures, hockey jackets, drum sets, even library cards, that were used by Justin before he was an international pop star. The exhibit tells the story of the Stratford native's career from those early years - busking in Stratford and performing in local talent shows - to the largest venues and stages in the world. The exhibit was created by the Museum in conjunction with Justin and his family. .A collaboration with the Stratford Festival Archives, this exhibit highlights the Festival’s history, important artefacts, costumes and props, as well as the actors, directors, designers and artisans that create magic on stage. 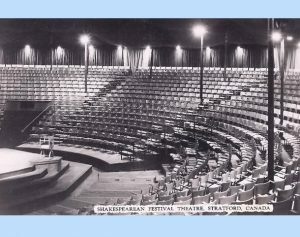 The name "Stratford" by itself would likely not have justified the establishment of a Shakespearean Festival in the city. In the early 1950s Stratford was a railway town of about 19, 000 souls. 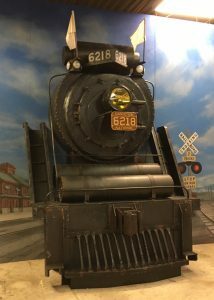 ­ This exhibit tells the story of Stratford as a railway hub, and highlights the prosperity that Perth County’s extensive railway links brought to farmers and businesses in the region. The Locomotive Repair Shops, operated by the Grand Trunk Railway and later the Canadian National Railway, was the driver of Stratford's early economic development. Agriculture, dairy, furniture making, and knitting mills, now connected to the world by rail, were just a few of the industries that made Perth County one of Canada's most prosperous counties. This exhibit offers a glimpse into the history of Stratford and Perth County from settlement in the 1830s to today. 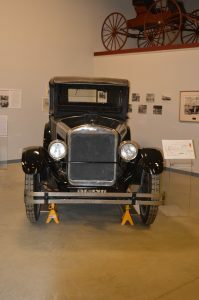 Drawing on the museum’s collection of photographs, artifacts, and archival documents, the exhibit highlights the people, businesses, organizations, and events that make Perth County the vibrant destination that it is today. At You Are Here, experience a unique mix of poets and politicians, parades and plowing matches, settlement and sport history, and more that you can find here at the Museum and all across Perth County. This exhibit traces the history of the Perth Regiment from its inception in 1866 to present day. The themes of duty, sacrifice, valour, brotherhood, and remembrance are used to highlight the development of the Regiment from its earliest days as a volunteer militia company fighting in the Fenian Raids, through to its role in the liberation of the Netherlands at the end of World War II. This exhibit showcases objects, letters, photos, and personal stories from throughout the regiment's history. Why "Perth UP"? The Maple Leaf "UP" was an ubiquitous marker during the Second World War pointing the way to Canadian front lines. 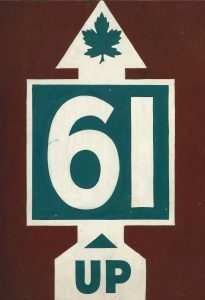 "61" represented the Perth Regiment. Capt. John “Duffy” Dent served in the Perth Regiment during WWII. 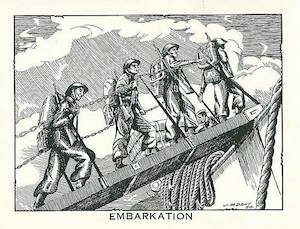 He was an accomplished artist who captured moments of military life, its conditions and situations, in his striking black and white drawings. Dent redesigned the Perth Regiment hat badge, was the editor-in-chief of “The Perthonian,” and an illustrator for the Royal Military College Journal. This exhibition displays samples of his work and personal memorabilia.